In 2014 a few residents got together and established “Froyle Nature Conservation Group”. 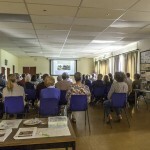 The aim is to provide an informal and sociable forum where people can share their love of nature and learn more about any areas of specific interest. We also work together to promote and support the enhancement of biodiversity and its conservation in and around Froyle. In 2017 we applied to the Charities Commission to become a ‘Charitable Incorporated Organisation’ with the name “Froyle Wildlife”, registered charity number 1171997. Anyone with an interest in wildlife is welcome to join the group for a small annual subscription of £5 (children are free if adults are members). With a range of projects and activities we hope there will be something to cater for all ages and different areas of interest. 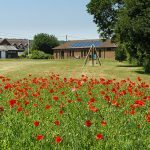 We look after two areas in Froyle, a wildflower area on the recreation ground and the wildlife pond area at Froyle Park, we also organise local walks and talks. For more information see our aims and constitution or contact us. Please download our membership form to join or just come along to one of our events. Gift Aid can be reclaimed by Froyle Wildlife by completing the declaration form. 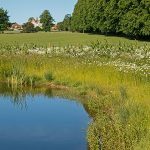 Links to .pdfs about Froyle Wildlife Trustees’ report and accounts 2018, and for 2017, and the former Froyle Nature Conservation Group past accounts. See a list of our past events.